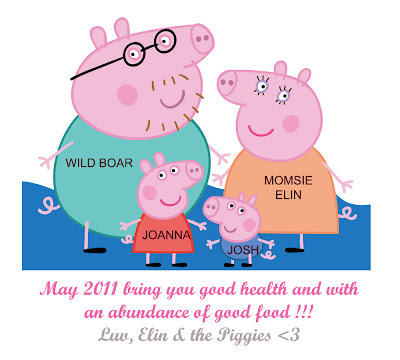 Elinluv's Tidbits Corner: GOODBYE 2010 , HELLO 2011 !!! Happy new year, Elin! Looking forward to more yummy posts from you in 2011! Same to you all... LOL!!! Very nice graphic presentation! Good one. Happy New to you and your family too Elin. Looking forward to see more of your scrumptious posting.